Sometimes you really shouldn’t judge things by appearance. That’s about LimoPlay. By looking at their website it seems like this is a low quality iGaming operator, but in fact, it isn’t. 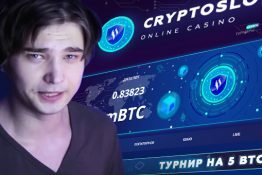 Despite having a pretty awful design, it belongs to the family of Direx N.V., which is one of the leaders in Bitcoin casino industry. So, you can expect high service standards. It isn’t what you would call a premium operator, but definitely isn’t the worst one. You will be lucky if you can still join the casino as it soon will cease to exist. It doesn’t go bankrupt though. LimoPlay merges with another Direx N.V. brand Betchan. It’s not clear how long this transition will take, but everything indicates that the casino is getting ready for shutting down. For now games aren’t available for play, but registration is still open. So, even if you can sign up, there are nothing to play. 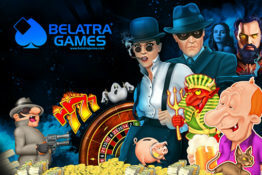 The casino handles this merger very smoothly, and players are given different options to cash out their winnings or continue playing with Betchan. This event is managed pretty well and that is a great proof of Direx N.V. group being a fair and reliable business entity. If you have heard a lot of good things about LimoPlay and now are disappointed to miss the opportunity, join Betchan. Basically, this operator isn’t any worse than LimoPlay. We consider Betchan is even more attractive. So, you’ll find pretty the same services and offers. LimoPlay customers wouldn’t be disappointed by promotions in case they choose to join Betchan. Bonuses are generally the same. For instance, welcome package consists of four deposit bonuses with total value of $400 in both casinos. But extra credits come with free slot rounds, and Betchan offers in total by 20 more of them than LimoPlay. 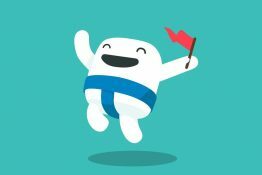 Players from Sweden and Portugal will be happy to join Betchan because their welcome offer isn’t restricted to their countries, while in LimoPlay they weren’t eligible for the deal. Players will benefit from merger also because LimoPlay had demanded 50x playthrough for all bonuses. This turnover volume at Betchan is required only if a punter claims no deposit or free spin bonuses. Welcome bonus credits should be wagered 45 times, while other deposit offers require 40 volumes turnover. LimoPlay customers got used to extra 50% on Friday deposits. They will have to shift their deposit schedule a little bit if they want to enjoy the same reload offer at Betchan as this operator rewards you for Monday uploads. There will be the same 50% bonus capped at $50. Players would miss LimoPlay’s Welcome offer for high rollers and Tuesday free spins gifts, but that isn’t the reason to get upset. Lack of extra promotions at Betchan is compensated by regular tournaments which can earn punters some good money. So, basically, you don’t lose anything when moving your account from one casino to another. Even the collection of games is similar on both sites. LimoPlay, like other Direx N.V. gaming websites, was powered by SoftSwiss. This platform distributes variety of in-house and third party creations. Almost all major suppliers roll out their creations through SoftSwiss. 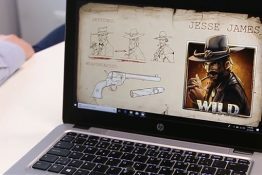 However, there is also a variety of smaller providers, which can offer unique games. If you move from LimoPlay to Betchan you can hardly see any difference in their game collections. Direx N.V. is a reputable company. It shows the great deal of responsibility in this non standard situation by fairly managing customers’ accounts. LimoPlay and Betchan are just two out of many gaming websites it operates, and if you choose any of its brands, you can be confident that you’ll be treated fairly. Because SoftSwiss software is tested by iTechLabs, game fairness is also out of question.